The controversial drilling practice known as hydraulic fracturing, or fracking, requires injecting huge amounts of water, sand, and chemicals at high pressure thousands of feet beneath the earth's surface to extract reserves of natural gas. 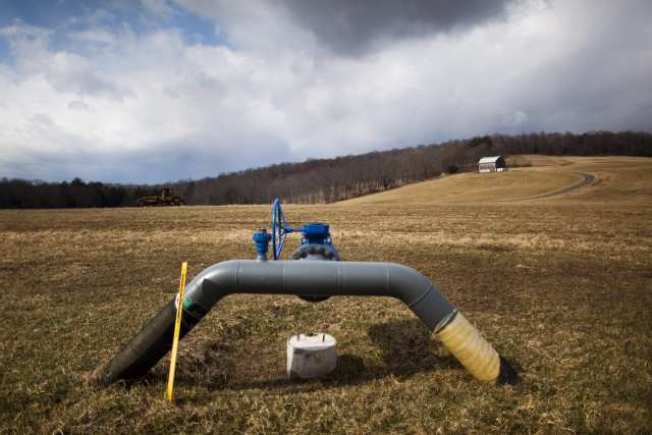 Susquehanna Judge Kenneth Seamans ruled Thursday that Scroggins must continue to stay away from a dozen properties owned by Cabot as well as from active drilling sites, producing gas wells and access roads. The judge's previous order barred Scroggins from any land owned or leased by Cabot - a region composing 40 percent of the county's land mass. Cabot had obtained the injunction last fall, saying Scroggins habitually trespassed on its land, putting herself and her guests in harm's way, distracting employees from their work and interfering with natural gas production. The company said Friday it is satisfied with the modified order. A trial on Cabot's request for a permanent injunction is scheduled for May. "The court's ruling not only protects Cabot and its employees, contractors and others but it keeps landowners from being exposed to liability that could arise from Scroggins' actions," the company said in a statement. Scroggins' attorney still expressed concern about a buffer zone that requires her to stay 100 feet from Cabot's operations, saying it could hinder the activist's ability to see what the company is doing on the land. "But overall, the injunction is narrowed hugely and that's a big win for Vera," said Scott Michelman, an attorney with Public Citizen, who represented Scroggins.